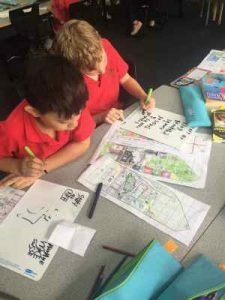 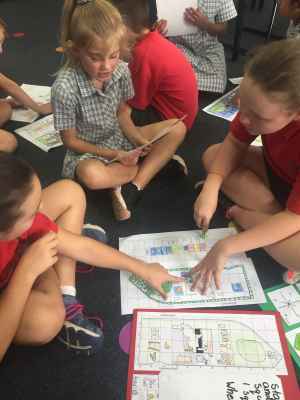 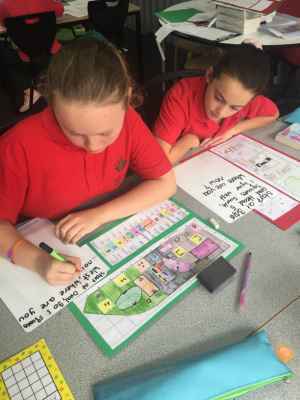 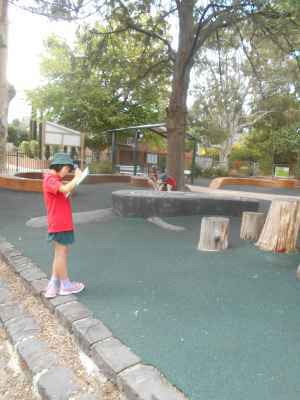 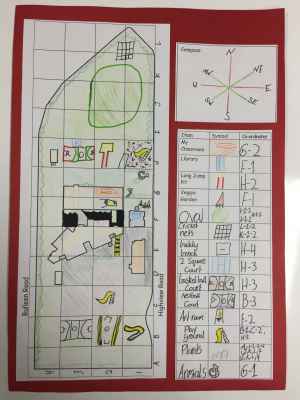 Recently the level 3/4 students have been learning about Location and Mapping in Maths. We connected this unit of work to our Integrated Topic ‘Time Travel’, where we are discovering how our local area has changed over time and are studying the book ‘My Place’. Students created a map of ‘our place’, our school, Belle Vue Primary School. To begin, students went outside with an outline of the school map. 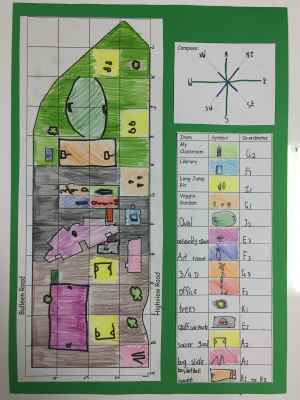 As they walked around the school, students added symbols to their map to represent different places within the school. We then discovered other features of a map, including coordinates and a compass rose, and added these to our school maps. These are some of our finished products! 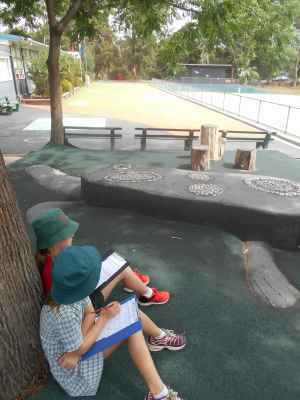 Students then practiced using their map, writing instructions for their peers to follow. 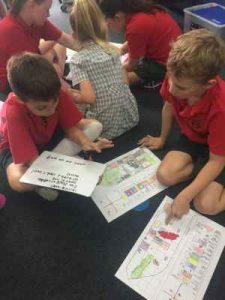 This gave students the opportunity to practice using the map features they had added, ensuring they were using clear directional language for their partner to follow.